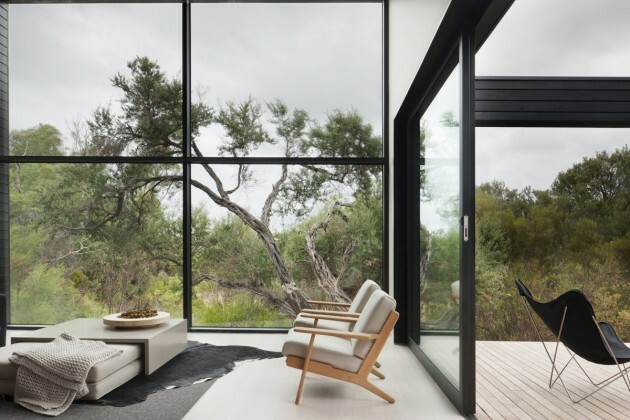 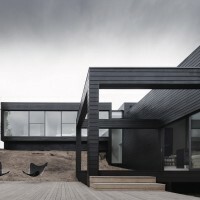 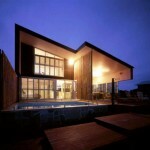 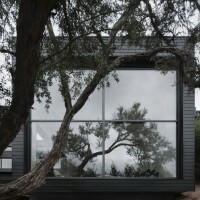 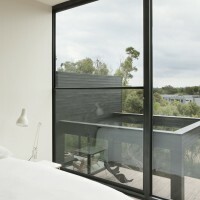 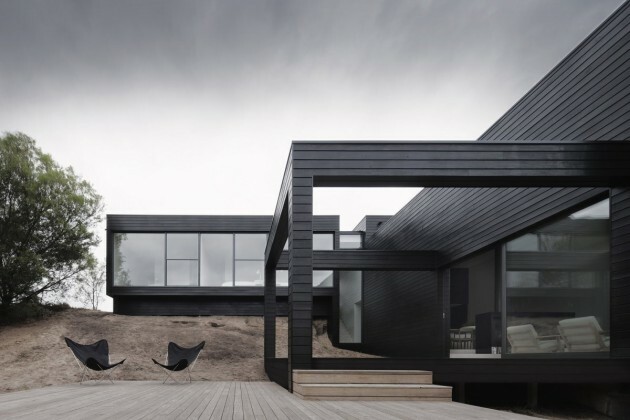 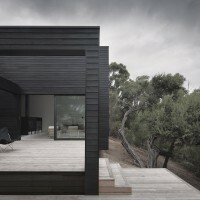 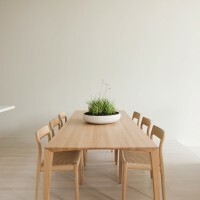 StudioFour have completed the Ridge Road residence, located on the Mornington Peninsula in Australia. 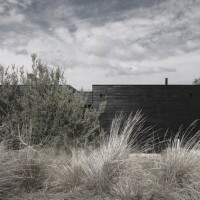 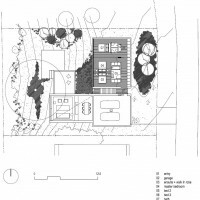 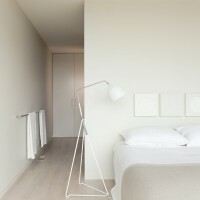 A simple brief and programming requirements, teamed with a dramatic site characterised by a steep slope and a single tea tree, enabled the design to become an exploration into enclosing the basic rituals of domestic life within restrained building forms…the form of the building becomes driven by the clients desire to separate the public and private zones of the residence. 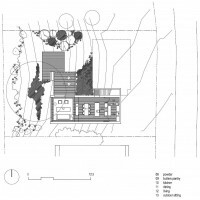 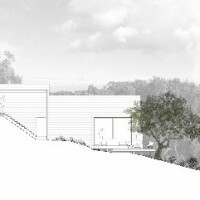 In stark contrast to the surrounding houses, which attempt to cancel out the sloping topography by creating a podium level at which the outdoor areas sit exposed high above ground level, our design for this house adopts a gentler strategy, with the building form spilling down the slope to terminate in a series of terraced decks. 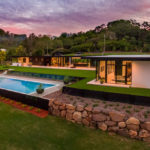 These low lying decks aim to provide privacy from the golf course below, whilst the surrounding native landscape will shelter the outdoor areas from the harsh prevailing winds. 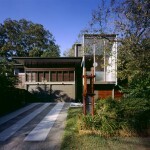 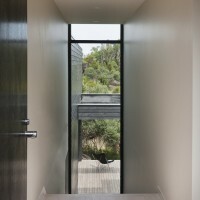 Varying levels of interaction and connection with the landscape, both real and perceived, drive all aspects of the design, from the channelled views of the horizon upon entry, through to the double height picture window that captures the full proportion of the tea tree, and the direct and intimate connection provided by the low level decks.